Has everyone forgotten about the Waterfall method? It’s a classic IT methodology that has its advantages and disadvantages, just like any other. It once was the dominant software development method when software teams worked together for years, if not decades. Now that everything has changed, with teams fluctuating continuously, the Waterfall method has become forgotten, neglected, or even considered obsolete. 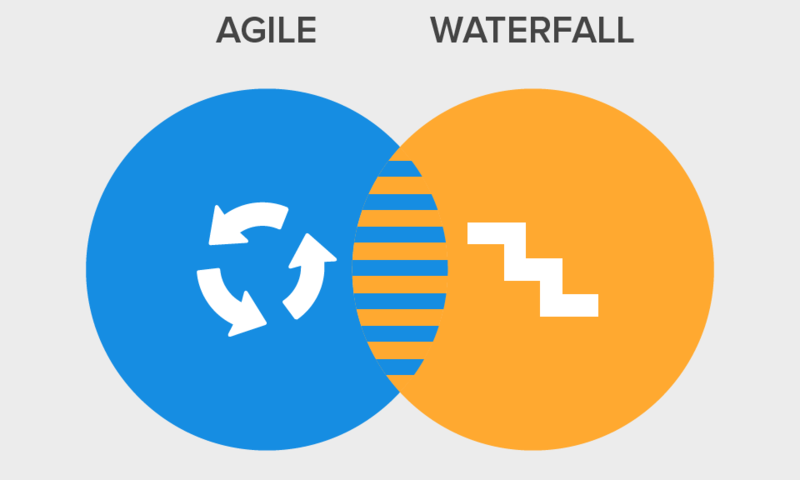 Let’s look and compare both the Waterfall and Agile development methods to see if Waterfall is still relevant in the modern IT world. The Waterfall methodology is a design process that works in sequential increments to complete a project. Once a step has been completed, it cannot be gone back to, so it is imperative that the design team in charge of this project heavily plans out the steps beforehand. There can be no errors or changes made once the project, using this method, is set into motion. The process must be documented as well so that every step is accounted for. There are many benefits to using this method to develop a piece of software, the best being that the client is informed about how long the project will take and what will be completed when. Each developer is also heavily informed about the projects and the steps that need to be taken in order for it to succeed. This method also has a lot of downfalls, which may be the reason it is not used as much anymore. One of these is that if the initial requirements are incorrect, or if any error is made along the way, the project must be started over. Another huge flaw in using this system is that testing can’t be done while being developed and can only happen once the system is complete, which could lead to many bugs going undetected. Why did the Waterfall method become obsolete? One of the reasons Waterfall was overshadowed was because of the dynamic nature of modern IT teams. In the past, development teams were together for many years, which is perfect for the Waterfall method. Also, there were fewer software development projects in the world in general, fewer programmers and fewer opportunities to use communications for projects. IT specialists weren’t dispersed all over the world and were usually concentrated in one office, which made the scope of work more manageable. The Waterfall method worked great in those circumstances because everyone was in one area to take part in the project. A global trend has started today. Anyone in any country can begin a startup using IT specialists from any country or company, and those specialists can move from project to project all the time. 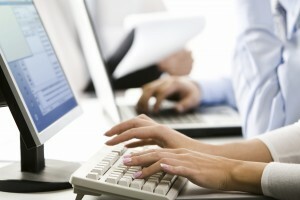 Now, developers change jobs quickly and freely. They aren’t tied down by social benefits and pension funds, so they can move from company to company, or go freelance. Development projects are now carried out by teams less experienced in working together because the teams change all the time. Therefore, specialists need to be flexible and adjust how they work within these teams. A requirement of using the Waterfall method is creating a project assessment in terms of money and time. When the team that will work for the project is unclear, it is impossible to make the correct predictions based on those criteria. 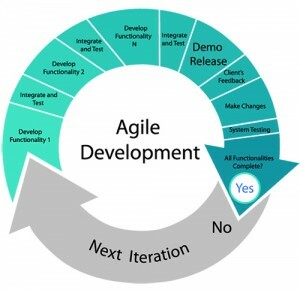 The Agile method works in phases to accomplish a project over a certain period of time. Developers will create a primary version of the product that the client can use, and over time, increase its complexity by adding new features to it. The features can be tested while the system is running its previous version, and launched as a part of a software’s iteration. A huge advantage of the Agile method is that bugs can be easily found and corrected on the spot before moving into more complex versions of the program. Clients can also assess the progress of their software during these different steps and can add their input to it as the software grows in subsequent steps. Agile welcomes change and uncertainty. Agile is more flexible, and allows for less specifics and more uncertainty, with risks managed better. When Waterfall was the more commonly used method, information wasn’t traveling as fast and the markets didn’t change as rapidly. Today, depending on the industry, weekly or monthly changes happen, so tweaks and alterations to the development process are inevitable, and the end product can turn out to be absolutely different from what it was planned as. In a year, changes to the industry can be drastic; flexibility becomes paramount, especially with longer projects. Agile is the perfect method for that. Where stability reigns, Waterfall still works wonders. Agile is best developed for products where change happens all the time. For example, if a social network is planned for a guitar player, it may end up being developed for general music or vocalists in a few years’ time, who may become more popular by the time the project is completed. Obviously, not all industries are affected by such uncertainty. Some global industries don’t depend on mass marketing for success are still stable with no market fluctuations. Examples include industries such as oil and gas, steel, space, and so on. In such projects, there is more time to understand what is needed for the software, and the changes made aren’t global or critical. The project of sending a satellite off to space, for example, will have the same goals in two years that it does now. The Waterfall method was born in the construction and manufacturing industries, where changes to the initial plans would be catastrophically expensive, if not impossible. Waterfall still works well in those projects, and it should be used more in those settings. doesn’t change during the life cycle because these spheres are strictly regulated (by the government, for instance). In the healthcare industry, for example, the project of creating databases for medical clinics will have stable requirements because the industry doesn’t change in essence. In that case, Waterfall fits the mold. But if a medical institution were to develop a mobile app for its clients to look up services and book appointments, Agile would be the path for those developers to take. The nature of the product can therefore affect the choice of methodology. It’s difficult to envision the end product using the Waterfall method. Since a working model is not available until late in the project using the Waterfall method, using the software created is impossible in projects where the client wants a working prototype of the product early in the development either to still gather requirements or to make changes to the initial plan. The Waterfall method is also a poor choice for those developers who may make mistakes along the way. It is nearly impossible to go back and correct something using the Waterfall methodology. If a stage has gone wrong, there will be problems in the next stage. Therefore, longer, more complex, object-oriented projects work better using the Agile method. What does the future for these methods hold? The world of information technology has rapidly changed. Measuring effectiveness of teams, cultivating motivation and responsibility is very important, and the Agile method works better to meet these new needs. However, it is clear that the Waterfall method is here to stay and will still be implemented in a number of projects, where the goals of the project are perfectly suited for the method’s core philosophy. At the same time, the Agile method will be used more in environments where business values, product vision and markets change quickly. Whatever the future of your product holds, there’s a method to the madness for your future software development. If you ever have questions about these development methods in the future, contact us and we’d love to answer them. Have you or your company used either of these methods to develop software? Which worked best? Let us know in the comments below!